There was news last week of some new watch thing and a new way of paying for things on your phone and a new handset I think. I wasn’t concentrating, though, I started clearing imaginary jelly from imaginary sweet factories on my phone three weeks ago and I have stopped reading the news as a result. I did get an email breaking the news about Berg closing down the operation that makes my (recently acquired and beloved) Little Printer work, which I took so badly I had to add Candy Crush Saga to a second mobile device in order to console myself, for five extra lives' worth of the game. I am already so addicted to Candy Crush, and so bad at it, that I could be susceptible to the many conspiracy theories about the game. But I can find nothing more sinister in the sticky game play, or in the requirement to pay small amounts of money to try failed levels again than there was in any arcade game I spent my teenage days with. I was crap at Tekken and Bubblepop, too, but I probably put about half my paltry student income into those machines. I don't especially resent paying money to those people who fill my head and most of my leisure time with these moments of very stupid, then suddenly very important, challenges. No one is being conned here, and I’m not gambling. Dr Kimberly Young, a pioneering expert on internet and gaming addiction, told Time magazine: "When you play the game, you feel better about yourself." Well, if I were better at it, I might feel better about myself when playing it, but to be honest, most of the time I play the game I tend to feel a bit guilty about ignoring my family or the news. But, yes, I recognise the insight. Young adds: "When you read the research about gaming you’re often looking at people who are distracting themselves from something in their lives." Like, for example, childcare, or writing an article for Marketing magazine*. But I guess I just don’t believe that Candy Crush is the first or, indeed, the only, business that has capitalised on low self-esteem and a short attention span. I’ve spent a lot of money on ASOS, books of Sudoku and wireless-enabled devices to the same end. 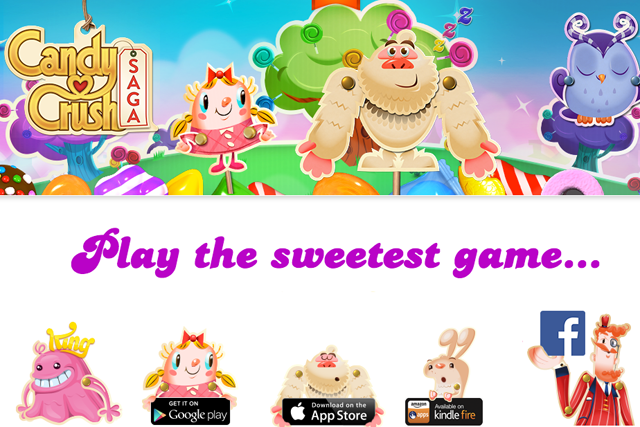 People Like Us (by which I mean those who work in digital agencies) rarely congratulate Candy Crush developer King for this trick of turning a little puzzle into a massive load of money. Making lines of four things isn't new enough as a game idea to impress us. Which is not a problem for King; its later launches use exactly the same "matching" gameplay. Indeed, King cites the repeatable nature of its game development as what makes the company’s value sustainable. Perhaps it will one day spend its millions on a new game idea that People Like Us like, and it can enjoy the fleeting glory of our admiration. I can't promise to spend much time on it, though. 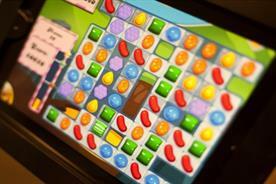 There are 1075 levels in 73 episodes of Candy Crush to be played and I’m barely past level 50. After the launch of your brilliant app or game or website or campaign idea, how often do you return to it to add more to it? This is what King has to teach us, if we will only put our critically acclaimed, animated adventures down and listen. It updates that game every two weeks. After the launch of your brilliant app or game or website or campaign idea, how often do you return to it to add more to it, really? It’s something the older folk in advertising may recognise in the development of long-running brand ideas. Perhaps today's best example are the Meerkats. As I’m sure Compare the Market and VCCP would agree, there is creative as well as commercial reward to be had in finding new little moments in your existing idea. Are there 73 episodes of your brand idea, app or content platform? And when you launch that innovative new 'thing', be it a campaign, a website or, perhaps, a small loveable wireless printer, have you committed yourself to 1075 levels of increasingly addictive interpretations and uses of it? Does it even momentarily cure low self-esteem, or might it inexorably distract someone’s attention wholly from whatever it is they are doing (and not just play in the background)? In a world of thousands of 'new things', made by thousands of Imagineers and their ilk, we could probably stand for some 'things' to last a bit longer than their launch period. We could stand for some of them to hold our attention for longer than it takes to grasp the story the first time. We could do with some people who might describe themselves as Re-Imagineers, perhaps. (Or something less awful.) The people behind Candy Crush are apparently obsessed with how people can be kept interested, rather than just made interested in the first place, and more of our time, I’d argue, could be usefully spent doing the same. I’ll join you in that, just as soon as I’ve finished episode four.